Hi, I'm Lee, a Freelance SEO Consultant. I've helped many businesses to gain more visibility and produce more sales from their websites. My skills knowledge and experience can help your business as well. I love working as an SEO freelancer (agencies are not for me) I've done it for years. It's one of the most fulfilling jobs, because I can understand it, know the secrets and have expertise in every aspect of the SEO procedure. Bundled together here's the #1-page plan. SEO stands for "search engine optimisation" or "search engine optimiser". If you want many people to visit your website, it is essential to hire an SEO. The reasons you should is that it's a good investment, and it can improve site wide website or store reputation. 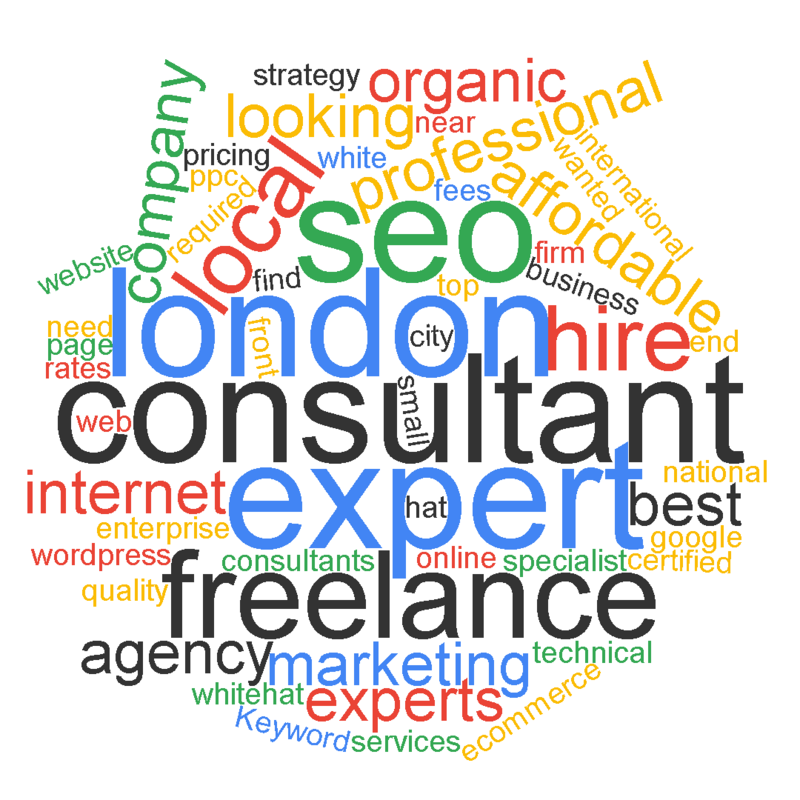 My SEO consultancy can fix position problems, I offer services: SEO consultant, London and nationwide - I will be your search consultant, SEO expert. SEO services; you should make sure you explore the possible benefits as well as problems poor SEO can cause. Many people are looking for the foremost freelance SEO (onsite SEO) in the capital or agencies; I can provide valuable SEO skills to rank in google.co.uk for top keyword phrases. Website owners, get your page positioned highest in order to be the #1 website and drive traffic from Google. Google pay per click advertising campaigns, social media marketing and visibility in organic searches results, I can provide advice. SEO assistance, the official Marketer main page, what's the deal? Potential customers need first to find your products and services in your geographic location for you to get results. Websites such as Google provide a great deal of information about optimising your website. It all really refers to the same thing: digital marketing or a content marketing strategy. In order to grow you need to drive traffic to a website and improve conversion rate optimisation. Are looking for local SEO company? I have the know-how in specific sectors and localities. Your placement is important, but a campaign involves so much more. To rank you have to think about how to improve website UX as well. Appear more often to realise a return on your investment from your SEO campaign. Great positions requires an effective SEO strategy be it SEO or PPC management using Google AdWords paid advertising. You need SEO to improve your position and reach by ranking higher on the first page Google. It requires SEO digital strategies. Technical SEO and link building will help a business online marketing and with lead generation to attract your target audience and to help achieve more leads and sales. I highly recommend you learn to use google analytics as part of your digital tactics. Case studies to discover what keywords customers type in to Google. I use data driven analysis to help websites online presence and organic traffic. If you're considering hiring an SEO, it’s much better to do it sooner rather than later. A great time to hire is if you are thinking about redesigning or launch a new project. This is because your SEO can be sure that your new websites created to be search engine-friendly. A good SEO can always help you to enhance your current website content. I supply you with references to other leading industry experts to support my Freelance SEO consultant recommendations and the reasons for them. I focus on the most relevant SEO techniques that boost visitor engagement. Increase the depth of the content of your existing documents; improve your site page load speed. Create topically relevancy instead of strings of keywords and build backlinks to your site. Detailed reporting, analytics and improved technical website optimisation. An SEO audit will help you get more visitors to your website and make a mark, SEO for Bing, Yahoo or Google. Website clients say integrated web page analysis should be by a competent SEO agency working in the market that has a excellent understanding of SEO. London SEO professional I can work closely with your existing web designer or web development director. I can do something special, head up campaign and deliver search results on time.